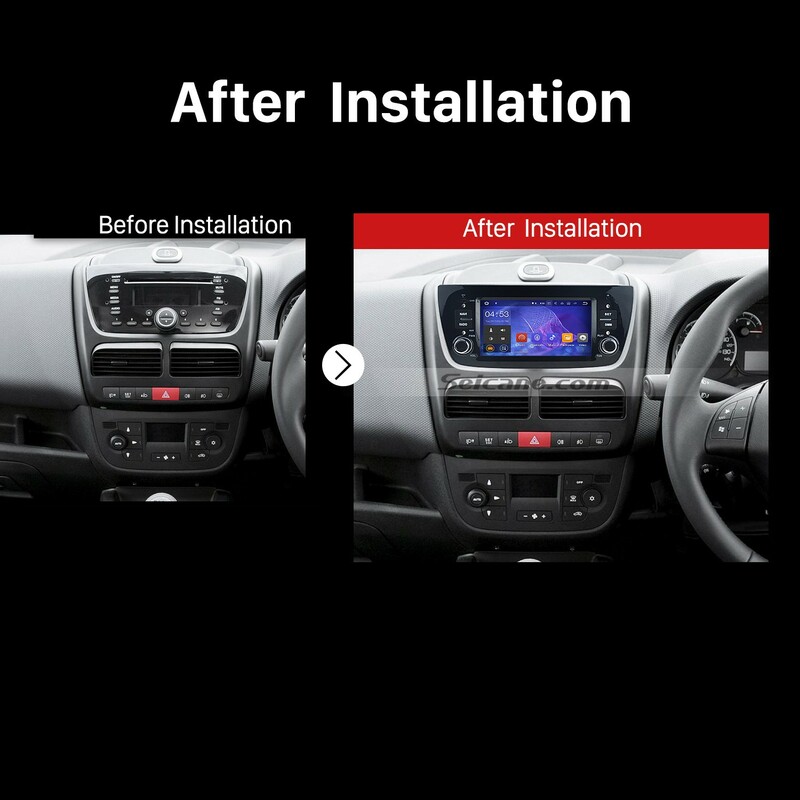 If you would like to replace your factory radio without wasting too much money, then this article on 2014 FIAT DOBLO car radio installation can be helpful for you. Since most car radios are plug and play, the installation process is not so difficult that you can also try to finish the installation by yourself under the guidance of a correct installation instruction. 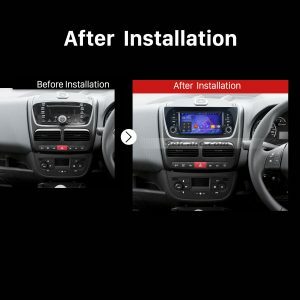 This article is mainly about how to remove the factory radio and install a new car radio for a 2014 FIAT DOBLO. If you own the same dashboard, you can carefully refer to this article to help with the installation. 1.Please disconnect the power before the installation. 2.Please prepare a lever and a screwdriver before the removal and the installation. 3.Please keep all the separate parts from the car. Please take great care of the dashboard to avoid scratching it during its detachment and installation. Please keep handy any parts from the car and make use of all the original screws from the car as much as possible. so each related part of the unit can be fixed securely. Step 1. Insert the release keys in the slots of the original radio. Step 2. 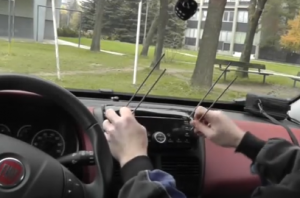 Pull outwards to release the original radio. Step 3. Disconnect the wiring loom and the aerial lead to release the original radio. Step 4. Unscrew all screw that fixed the original radio’s frame. Step 5. 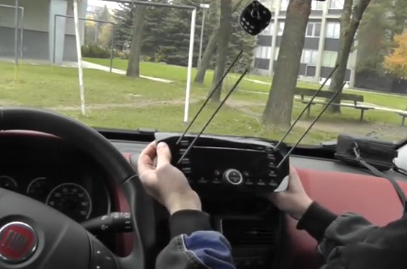 Take out the original radio’s modified frame. Step 6. Loose the trim panel and remove it. Step 7. Check all the accessories for the new Seicane car stereo. Step 8. Connect the harnesses to the back of the new Seicane car stereo. Step 9. Connect the Seicane car stereo to your original stereo’s plugs. Step 10. Turn on the new Seicane car stereo to have a careful check if everything works well. If it doesn’t, please check whether all the cables are connected correctly. Step 11. Put the new Seicane car stereo into the dash. Step 12. Put everything into their original place. All the installation is done. It is quite normal if you encounter any problems in the process of the installation. In that case, to solve the problems you meet, you can seek help from your dealer, someone experienced or a professional. Or you can directly go to a car radio upgrade center to ask a professional technician to help you install the new car radio. Besides, if you are still looking for an ideal car radio for your beloved car, you might as well check out the following link which is a remarkable 2014 FIAT DOBLO car radio from Seicane. This car radio is upgraded to the advanced Android 7.1.1 operation system and a powerful quad-core CPU processor to enhance its capabilities and performance so as to facilitate the operation. As for the practical function, you can take full advantage of the built-in 3D GPS navigation system. Under the guidance of turn-by-turn direction and voice prompts provided by the high-accuracy GPS navigation system, you can easily know your current locations and accurately navigate to your desired destinations. Additionally, with dual zone function, this unit enables you to freely listen to your favorite music while navigating, which can provide you with great fun in car. Wish you like this car radio and good luck to you!